Find tourist attractions and things to do near Geechee Kunda Cultural Arts Center & Museum View Map. Transport back to colonial life in historic Midway The Midway Museum, a replica of an 18-century coastal cottage, which houses exhibits and materials about Midway's history. Many famous figures came from or trace their descendants to Midway, including Oliver Wendell Holmes, Samuel Morse, Theodore Roosevelt, Jr.
View the evolution of communication technology first hand! Once located in Washington, D.C., ITPA's National Office and Museum relocated in 2001 to the small, beautiful city of Hinesville in Liberty County, Georgia. Ogeechee Barge Canal is one of the prime relics in the history of southern canals. Segway and Electric Bike Tours Segway's and Electric Bikes are the perfect way to enjoy the touring adventure of Historic Downtown Savannah, Bonaventure Cemetery or Tybee Island. Kid friendly Halloween movies On October 27-28 view Kid friendly Halloween movies under the stars. Free with $5 park pass per car. Concessions available. Massie is the only remaining original building of Georgia's oldest chartered school system. Known for its "Midnight in the Garden of Good and Evil fame, the Mercer-Williams House was designed by New York architect John S. Norris for General Hugh W. Mercer, great grandfather of singer/songwriter Johnny Mercer. Savannah's Central of Georgia Railway National Landmark District is the oldest and most complete antebellum railroad manufacturing and repair facility still in existence in the United States. Segway tours Segways are the most adventurous and exciting way to see this beautiful city. They are easy and fun to ride and the most extensive tour in town. Fun Segway tours around Savannah's Historic district. Glide around Savannah's historic district on a fun Segway PT. Easy to ride. These guided tours will be the highlight of your trip. We have 60 min. and 90 min. Segway and electric bicycle tours in Historic Savannah, GA Adventure Tours in Motion is a Segway and e-bike tour company in Savannah, GA. We conduct tours in Historic Savannah around the beautiful squares full of live oaks and Spanish moss, surrounded by architectural treasures. Segway and Electric Bike tours in historic Savannah, Georgia Adventure Tours in Motion is all about Savannah Segway Tours being the best things to do in Savannah, Georgia. Our Historic Savannah Segway Tour has 22 story filled squares to enjoy and we cover as many as possible. We offer a variety of tours. A historic home with mementos from O'Connor's childhood. The Flannery O’Connor Childhood Home, located at 207 E. Charlton Street in the heart of Savannah, Georgia, is dedicated to preserving the legacy of one of the South’s greatest writers. Adjacent to the Savannah Visitor Information Center, the museum is operated by the Coastal Heritage Society. The structure is on the site of the 1779 siege of Savannah, a Revolutionary War battle. 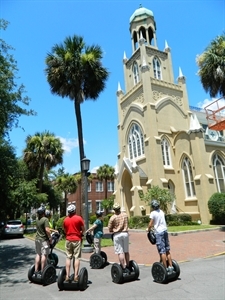 Segway and electric bicycle tours in Historic Savannah, GA Savannah Segway is a Segway and e-bike tour company in Savannah, GA. Tours are conducted by Adventure Tours in Motion. We lead tours in Historic Savannah around the beautiful squares full of live oaks and Spanish moss, surrounded by architectural treasures. 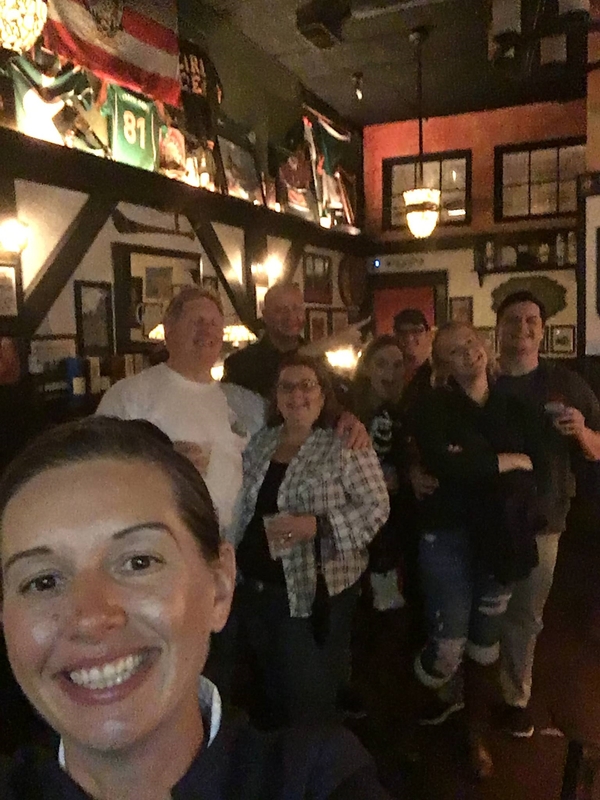 Personalized Tours of Savannah offers customized service for individuals, groups, step-ons or private touring. Tour themes include history, architecture, gardens, movie-sites and special interest. William Jay designed this house for merchant prince William Scarbrough, one of the principal investors in the S.S. Savannah, the first steam vessel to cross the Atlantic.